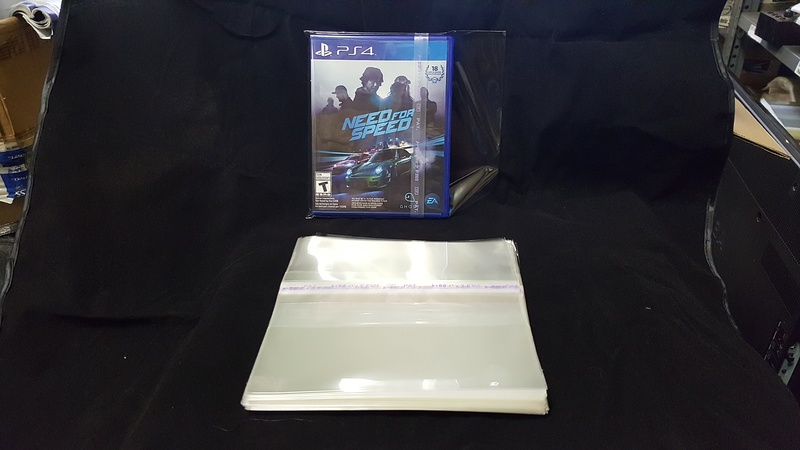 100 ($15.99) or 50 ($10.99)pieces of RESEALABLE sleeves for BLU-ray Disc case use. 186mm (across the opening) x 137mm with 55mm flap. Adhesive is on body of bag, not flap. Peal off strip. No writing remains on body of bag once strip is pealed off......bag is totally clear.